Attitude is one important key to success with hearing aids. Hearing aid studies have shown that people who have a positive attitude do better with hearing aids. If you, as well as your spouse or family, approach your hearing aid fitting with a positive outlook you will have a much better listening experience more quickly. 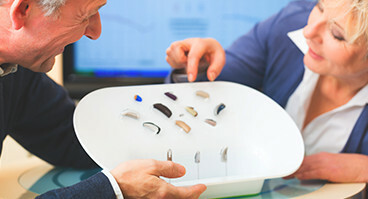 Keep in mind that it may take some time to get used to the sounds you were missing, and by working closely with your specialist, you will get the most out of your new hearing aids.